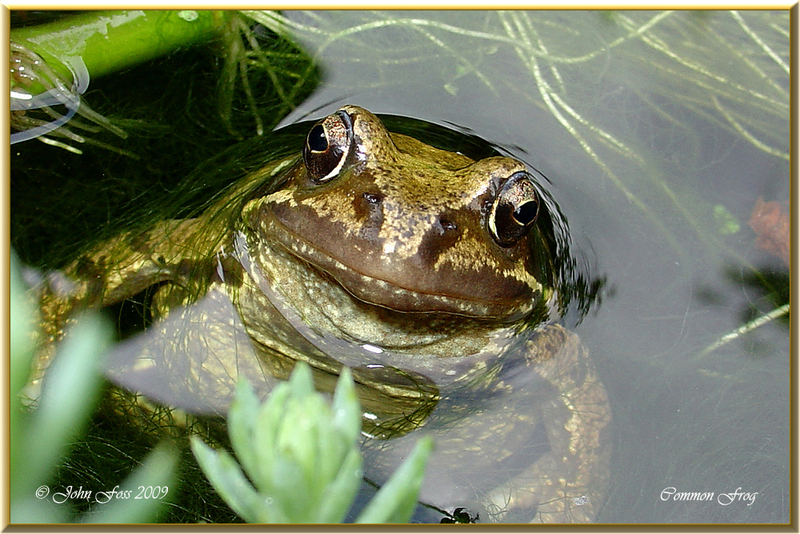 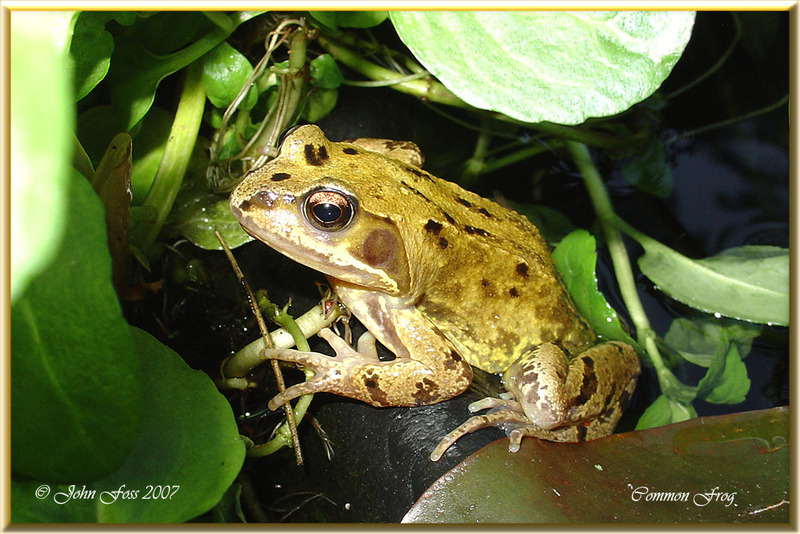 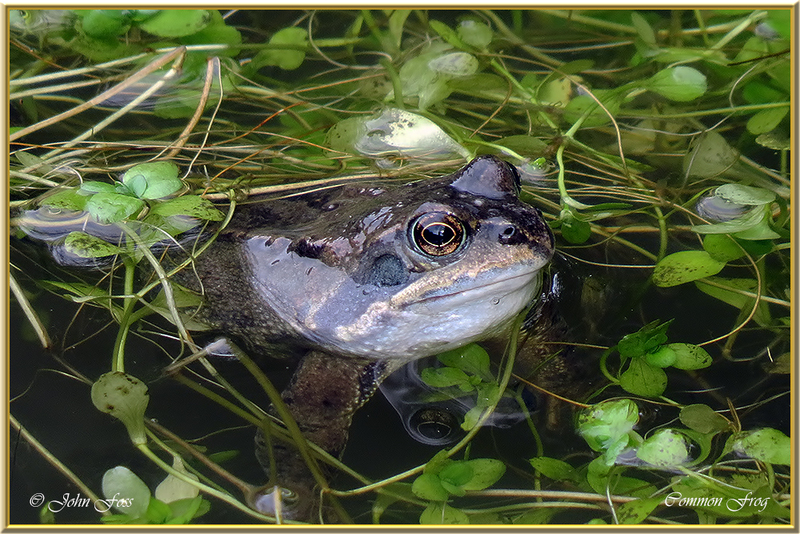 Common Frog - Frogs spawn in late February or early March when huge numbers gather to mate in our local waters. 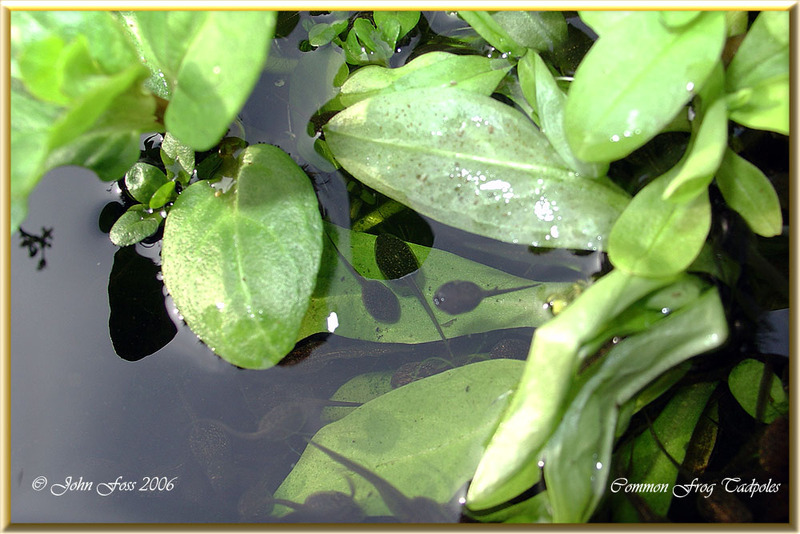 Only one in about a thousand frogspawn or tadpoles will survive to adult. 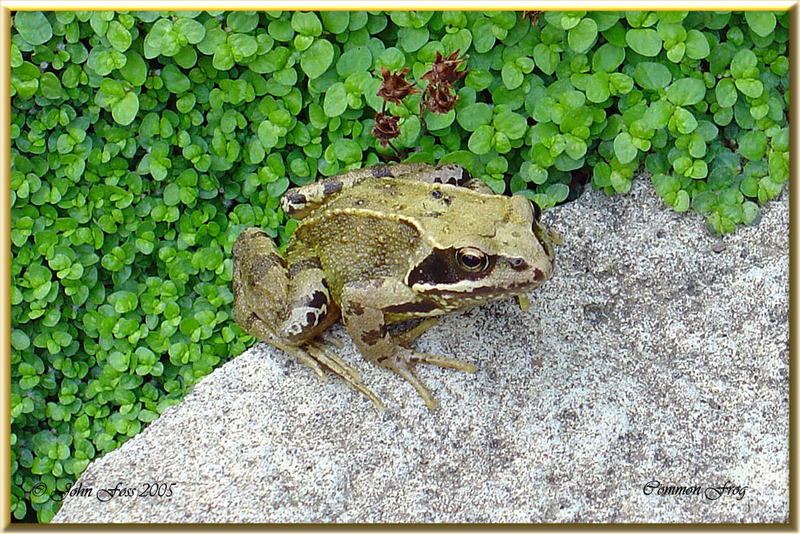 The common frog has many colour forms and no two are the same. 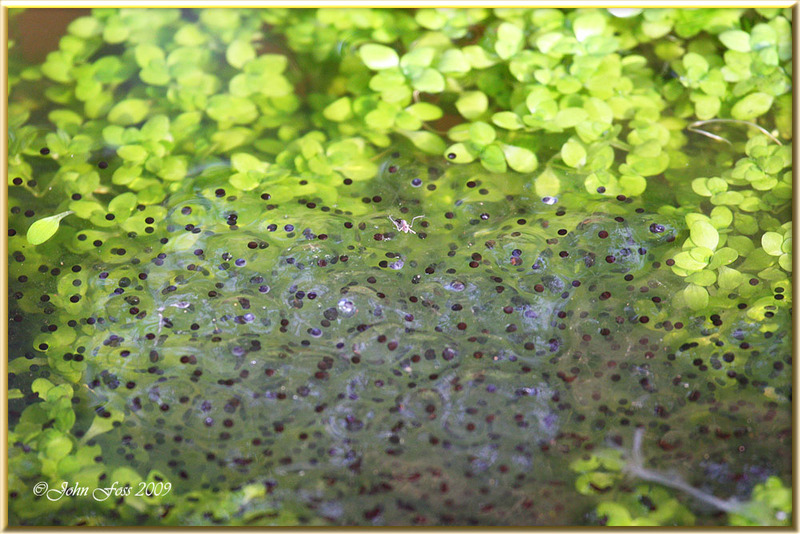 Each female will lay up to about 2000 frogspawn in the breeding season.